In the 1800s, in the DeLancey home on Heathcote Hill in Mamaroneck there was a prominent painting in the front hall of a black man. The family called him “The Governor.” With the assistance of the James Fenimore Cooper Society, the Larchmont Historical Society learned some more about the man in the painting. 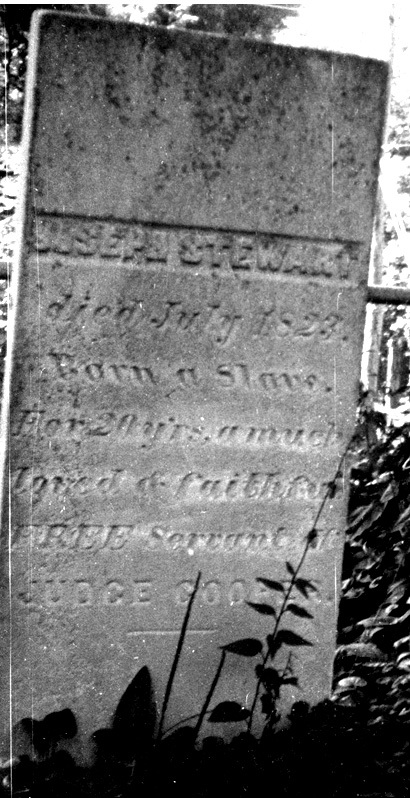 Joseph Stewart is buried in the Cooper’s private burial plot adjacent to Christ Episcopal Church in Cooperstown. The Larchmont Historical Society first wrote about Joseph Stewart in 2006, in Historical Society Finds More Slaves from Heathcote Hill. 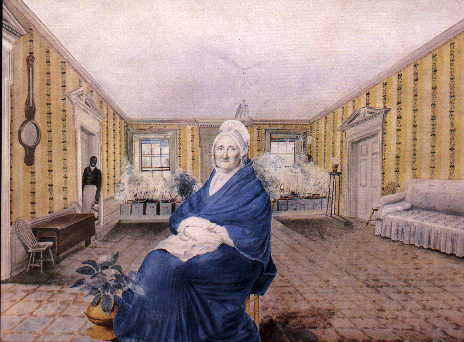 The article reported on slaves living with the DeLancey family, based on a 1883 essay by Susan Fenimore Cooper, the daughter of James Fenimore Cooper, titled Small Family Memories. Susan Cooper wrote the essay to describe for her grandchildren what it was like growing up on Mamaroneck’s Heathcote Hill during the early 1800s. 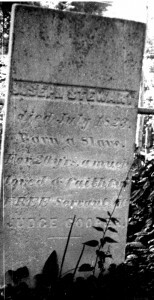 Secretary MacDougall also provided additional information about Stewart’s widow, Harris. She would have lived on Pine Street (now Pine Boulevard) in Cooperstown, and as Susan Cooper says in the essay: “His wife Harris married again after his death, and lies in the Churchyard, near the front fence. My grandfather gave her a house and lot, on what is now Pine Street.” There is a section of the Village Graveyard (and later Christ Episcopal Church graveyard) once reserved for African-Americans along its eastern edge next to River Street. According to Secretary MacDougall, Fred was sometimes known as “Frederic.” James Fenimore Cooper “rented” him from his older brother Richard. According to James Fenimore Cooper, The Early Years (New Haven, Yale University Press, 2007, pp. 150-151), Frederic “seems to have been one of the freed or indentured DeLancey blacks; his indenture had been purchased and he was taken to Cooperstown by Richard Fenimore Cooper, and in 1811 he returned with the Coopers to Westchester. While living with them, Fred was paid wages; eventually, around 1820 (before his indenture was up), he deserted them and they made no attempt to find him and bring him back.” Thus “Fred” may not have been a slave at the time he lived on Heathcote Hill in Mamaroneck. Rather he was an indentured servant, which meant that he had to continue to work for the Coopers until he satisfied the terms of his indenture, which arose because of his prior status as a slave.